Lanvin My Man: Bring On The Gems! Big jewels, small jewels, sparkly jewels, Gothic jewels; of all the trends this Autumn/ Winter costume jewellery has to be the most ubiquitous. Chunky jewels lavish the necklines of chunky knits. 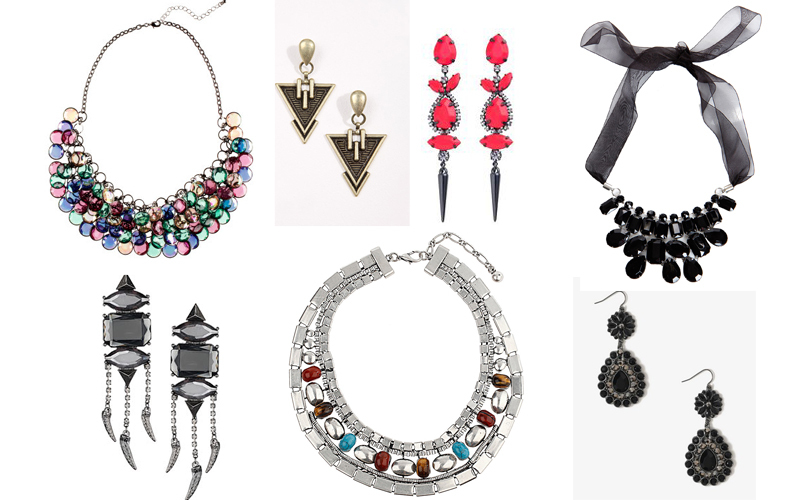 Sparkly ear droplets adorn everything from casual-chic daytime outfits to the most directional evening attire. Although it wasn't often hailed as a key look when the fashion forecasters had their say six months ago, neck and ear frosting (the two key areas to showcase your jewels) has slowly crept into the fashion consciousness as the winter nights drew in. They brilliantly lend to many trends across the spectrum this season, from Gothic to heritage to Baroque; perfect for when you’re trend cross- referencing or only want a nod to the look. The jewels of the season differ hugely from the stacks of arm candy that has prevailed since the summer; this Winter opt for a single, statement piece. This decadent infection of the fashion subconscious can be seen to have stemmed from the shows of a number of individual designers and fashion houses, from Lanvin to Holly Fulton. The similarities in showcasing these jewels were the same across the board: none of them allowed the jewellery to take centre stage, but only to contribute and build upon a pre-established theme. 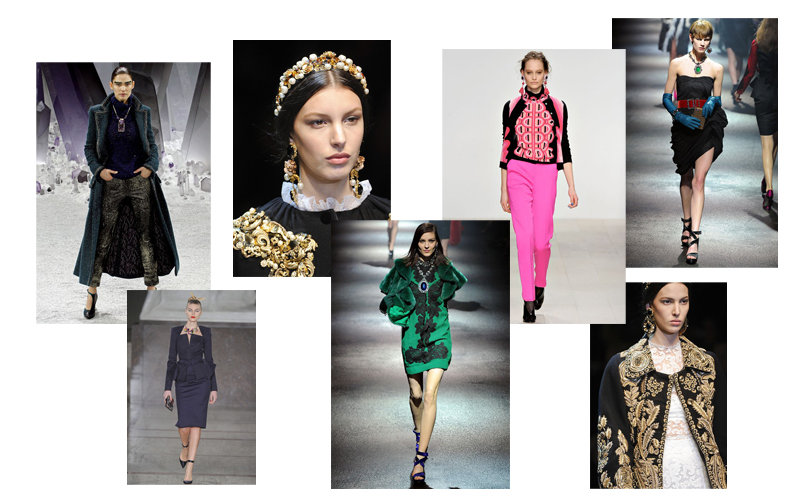 Dolce and Gabbana used opulent layers of jewels to build up the Baroque feel of their sumptuous collection. Alber Elbaz bedecked the models at Lanvin with classically Gothic gems, and Holly Fulton accessorized her vibrant collection with OTT earrings. Chanel showcased a trend that has certainly caught on: a statement sparkly necklace layered over a downbeat knit. If you’re at all nervous about breaking out the gems, this is by far the easiest look to tackle.